Why Are Barber Shop Poles Red & White? The red and white barber pole was an international sign long before the need for such symbolism was recognised. 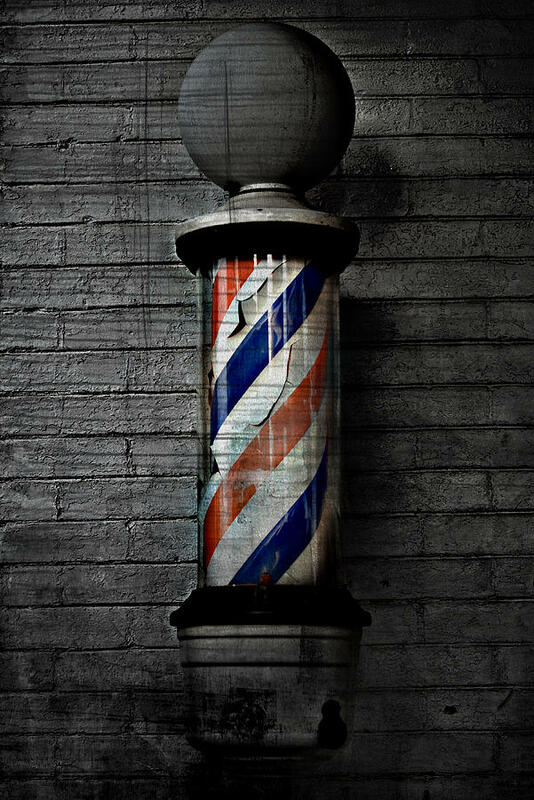 Like the pawnbroker’s three golden balls, the barber pole traces its origins back to the Middle Ages. 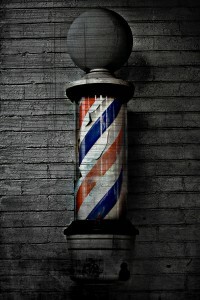 Barber shop poles are upright poles with red and white stripes in a descending spiral, topped by a bowl or ball. They are traditionally found on the exterior of the entrance to a barber shop. Many modern poles rotate, giving the impression of downward movement. Some poles have a blue stripe in addition to the red and white stripes. Barbers assumed surgical and dental tasks like blood-letting, amputation and tooth extraction when these tasks were forbidden to clergy in 1163. The “barber-surgeon” typically used long cloths as tourniquets and to wipe up blood that did not flow into a bowl. The red and white stripes on the barber pole represent these cloths and the “topper” represents the collection bowl used in blood-letting. An additional blue stripe may represent venous blood—or it may have been added by American barbers. The “bowl” atop the barber pole may also represent the holding bowl for leeches, often used for blood-letting and amputations by barber-surgeons. The custom of calling modern-day British surgeons “Mr.” but using “Dr.” for a PhD or “academic” doctor is the legacy of the days of barber-surgeon guilds.